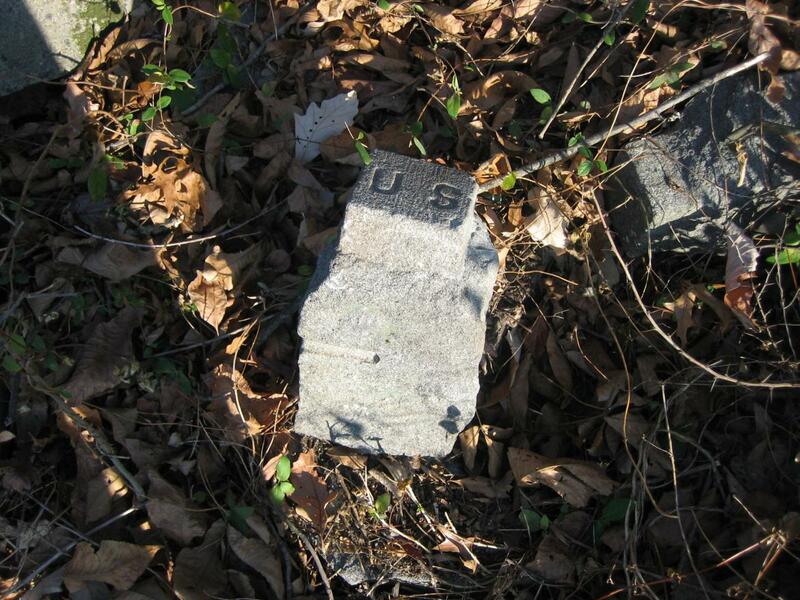 We originally found this marker while searching through the “junk pile” now exposed by the Patterson Farm tree cutting, south of the National Park Service maintenance area. This view was taken facing north at approximately 8:30 AM on Sunday, November 9, 2008. Gettysburg National Military Park in the 1950’s for the school complex of the Gettysburg Area School District located near Lefever Street. 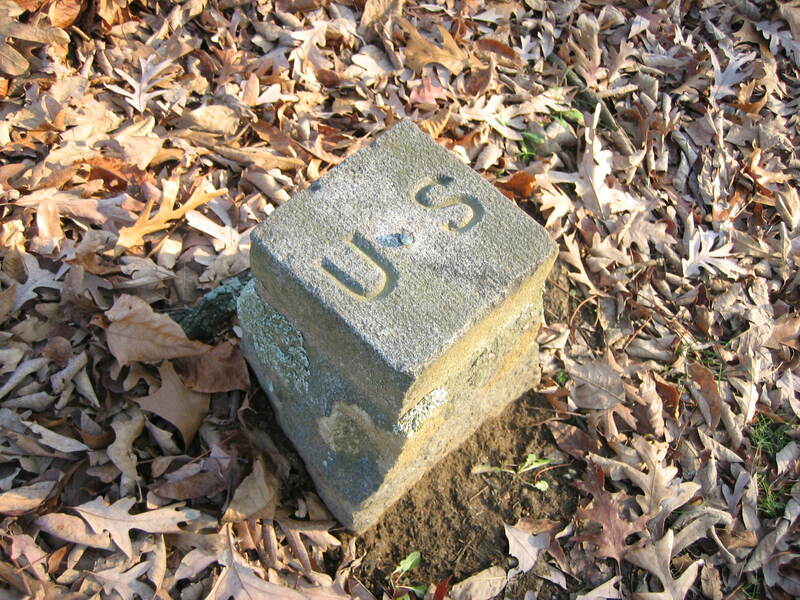 Some of these markers still exist on the battlefield, such as this one on the Stony Hill, at the Loop. This view was taken facing north at approximately 8:30 AM on Thursday, November 27, 2008. 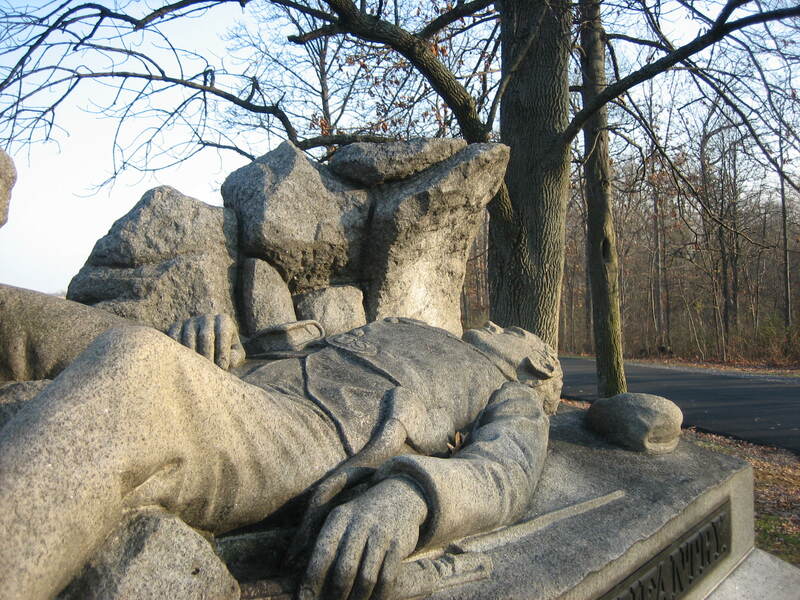 It is located just north of the 116th Pennsylvania Infantry Regiment monument. This view was taken facing north at approximately 8:30 AM on Thursday, November 27, 2008. A closer view of the 116th Pennsylvania Infantry Regiment. 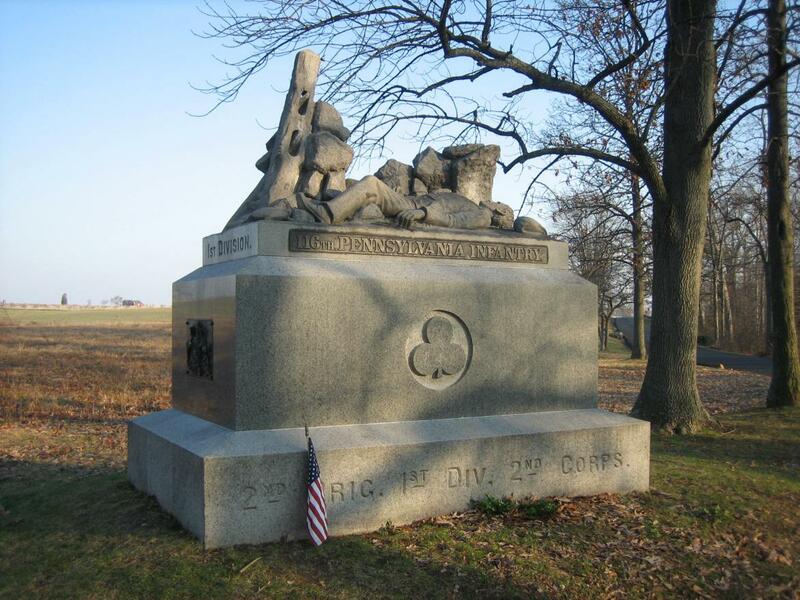 The person on the monument was not a member of the 116th Pennsylvania of the Irish Brigade. 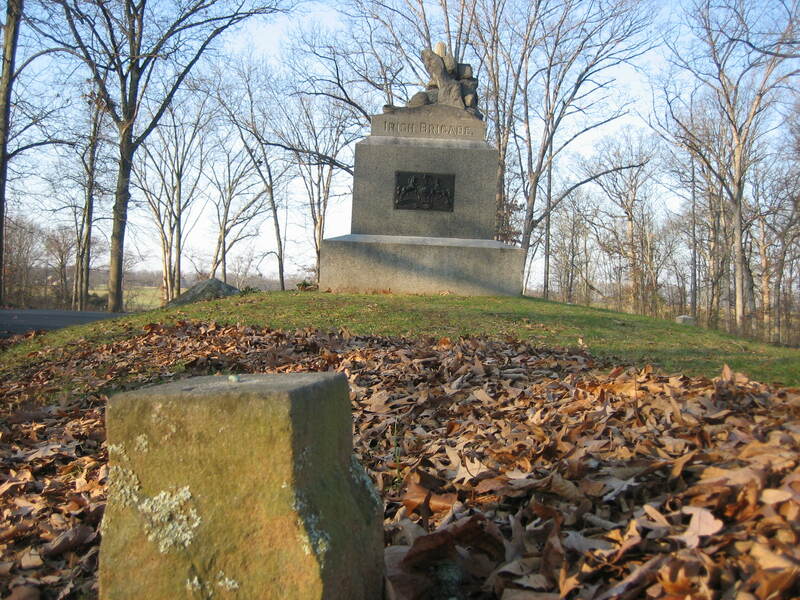 Major Mulholland of the 116th Pennsylvania remembered a young, dead soldier laying on a rock in this area when the Irish Brigade occupied it on July 2, 1863. When the 116th placed there monument here, Major Mulholland insisted that the soldier of his memory be featured. This view was taken facing northeast at approximately 8:30 AM on Thursday, November 27, 2008. The dead soldier may have been a member of Tilton or Sweitzer’s brigades which occupied the “Stony Hill” before the Irish Brigade. This picture shows the relation between the monument and boundary marker. This view was taken facing southwest at approximately 8:30 AM on Thursday, November 27, 2008.